Brothers, originally uploaded by Venus In Furs. Hey all. 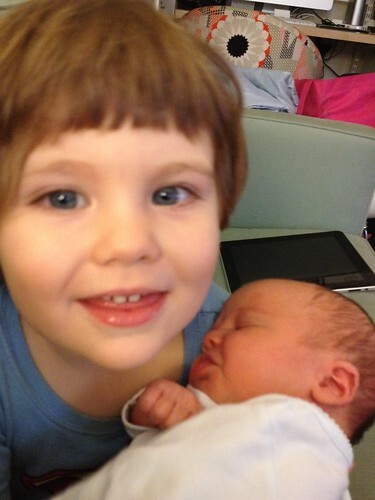 I've been meaning to update this, but I guess you could say that I've been a little tired.... but Gibson is a big brother! And as you can see in this photo he is just THRILLED. We're all happy and healthy and home and as to be expected Mom and Dad are exhausted. More to come as things settle down.